SBG Systems has announced the release of the Horizon IMU, a FOG-based high-performance inertial measurement unit designed for demanding surveying applications such as high altitude UAV (unmanned aerial vehicle) data collection or mobile mapping in dense urban areas, as well as testing of autonomous driving platforms. The announcement was made at the International LiDAR Mapping Forum (ILMF) in Denver, U.S.A. 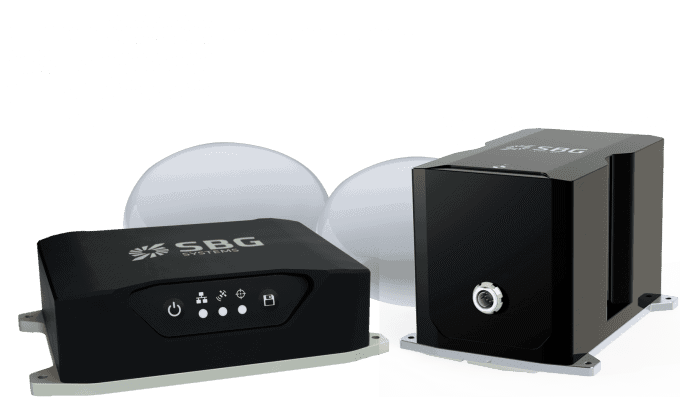 The Horizon IMU is the final product in SBG’s Navsight Land/Air Solution, a family of inertial navigation products dedicated to mobile data collection. Navsight is available at different levels of accuracy to meet a variety of application requirements, and can be connected to various external equipment such as odometers, LiDAR, etc. The Navsight Land/Air Solution previously offered two levels of performance with the Ekinox and Apogee IMUs. These MEMS-based IMUs address the majority of surveying applications for camera or LiDAR motion compensation and data geo-referencing. The new Horizon IMU allows customers to bring Navsight technology to the most demanding environments, such as high-altitude surveying and highly dense areas, as well as applications where only a single antenna can be used. The Horizon IMU is based on a closed-loop FOG technology which enables ultra-low bias and noise levels. This technology allows robust and consistent performance even in low dynamics surveys. Navsight products are easy to install, as the sensor alignment and lever arms are automatically estimated and validated. Once connected to the Navsight processing unit, the web interface guides the user to configure the solution. A 3D view of the vehicle shows the entered parameters so that the user can check the installation. By choosing the vehicle type, the inner algorithms are automatically adjusted to the application. The Navsight unit also integrates LED indicators for satellite availability, RTK corrections, and power. Integrating with Navsight products, SBG’s post-processing software Qinertia gives access to offline RTK corrections from more than 7,000 base stations located in 164 countries. The software delivers the highest level of accuracy without having to set up a base station. Trajectory and orientation are then greatly improved by processing inertial data and raw GNSS observables in forward and backward directions.